Light shifting breeze, mostly sunny. Most nets open 10-21, netmeter hours approx. 3000. Ringed: Common Redstart 2, Blackcap 3, Willow Warbler 3, Chiffchaff 1, House Sparrow 2, Brambling 1, Greenfinch 1, Common Linnet 1. Total = 14. Also 7 controls. Ringmerket: Rødstjert 2, munk 3, løvsanger 3, gransanger 1, gråspurv 2, bjørkefink 1, grønnfink 1, tornirisk 1. Total = 14. Også 7 kontroller. Observations: The almost windless conditions provided a rare opportunity to count divers and other birds resting on the sea, so we checked the sea area from Revtangen - Reve kai with the telescope. The count included 87 Great Northern Loons, 5 Red-throated Loons, 180 Common Scoter, 200 Long-tailed Ducks, 8 Razorbill, 7 Common Guillemot and 20 Black Guillemot. 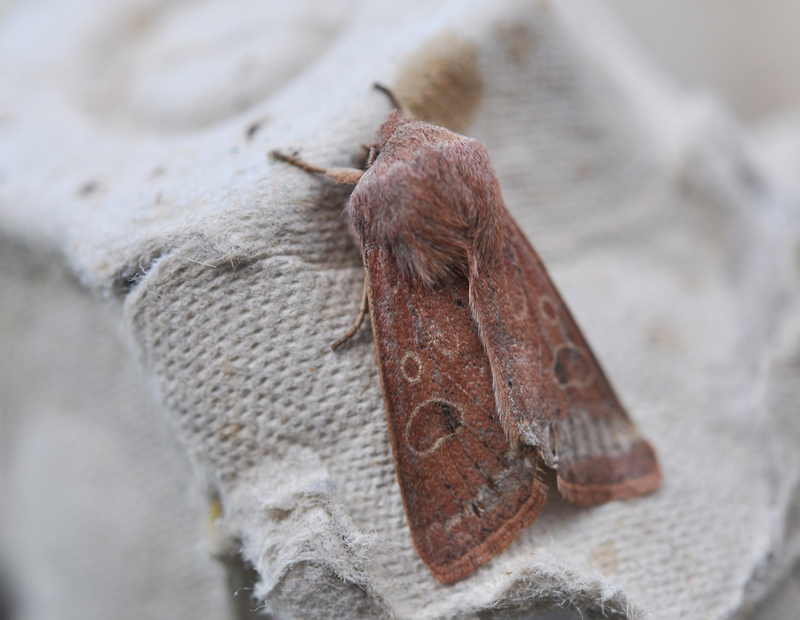 We tried two Robinson-traps last night but only 3 species of moths caught, includingh this Powdered Quaker (Orthosia gracilis). Punktseljefly. 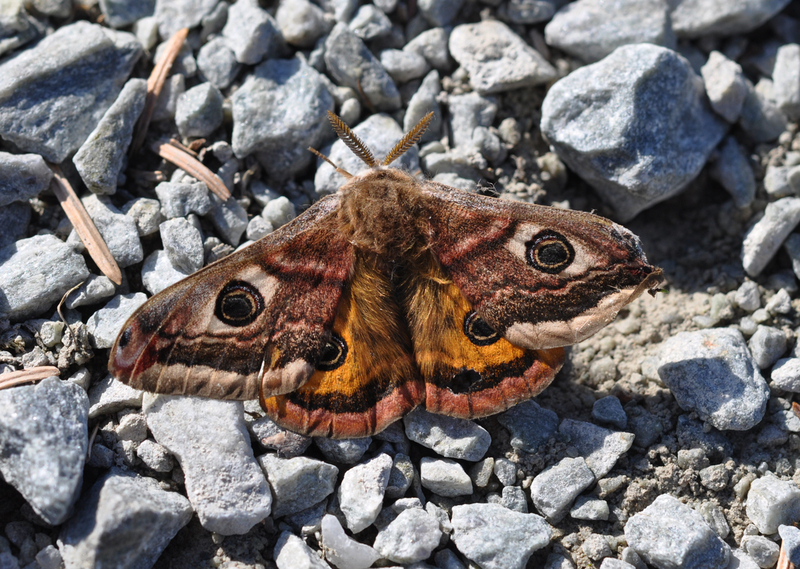 A long awaited addition to the lepidoptera list at Revtangen BO: This Emperor Moth (Saturnia pavonia) was attracted with a pheromone-lure. Nattpåfugløye. 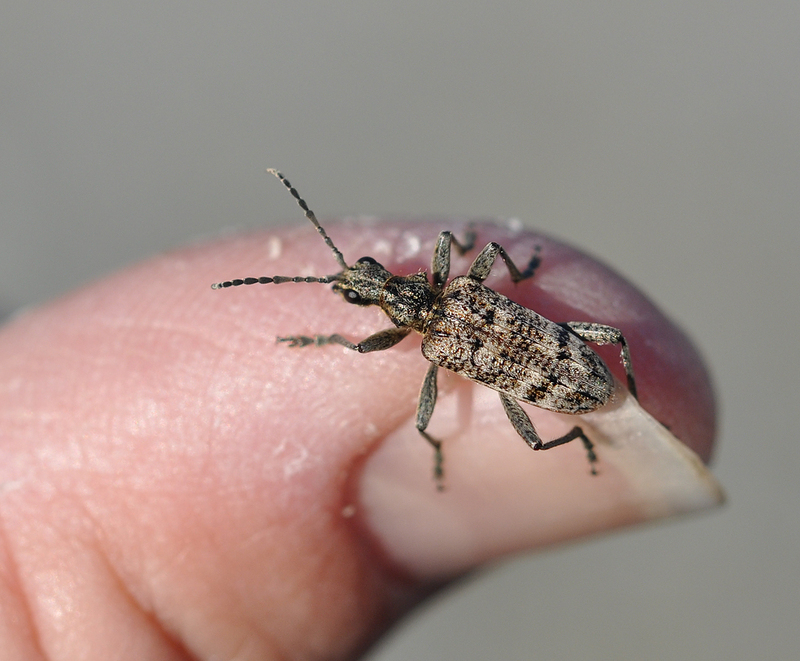 A new species of Long-horn Beetle at Revtangen BO was dicovered on a furled-up mistnet, Rhagium inquisitor. Bartreløper.